Did you know that there are a whopping 6,000 islands in Greece, covering the Ionian and Aegean Seas? Of course, not all of these islands are inhabited – or even worth visiting! However, there are over 200 Greek islands that have people living on them, and plenty of these are worth adding to your bucket list. However, if you want to escape the hustle and bustle of some of the most popular Greek islands, head to one of these underrated Grecian beauties instead. Despite it being one of the biggest islands in Greece, and the closest to Athens, very few people outside of Greece have heard of Evia. However, it’s a popular vacation destination for Athenians, probably because of its close proximity to the mainland. This island is packed full of history and ancient sites, as well as beautiful beaches, and a real melting pot of cultures. Head to the northwest town of Edipsos for the most popular hot water spa in the whole of Greece. This little slice of paradise isn’t the easiest of the Greek islands to get to, but that makes it all the more special. As soon as you step off the two-and-a-half-hour boat from Piraeus, you’ll be greeted by the smell of pine (which is where the island got its name). Here you’ll find the perfect mix of traditional and modern Greek elements, including locals sitting outside tavernas playing with their worry beads in between chic cocktail bars. Also, very few cars are allowed on this tiny island, meaning it’s always serene. 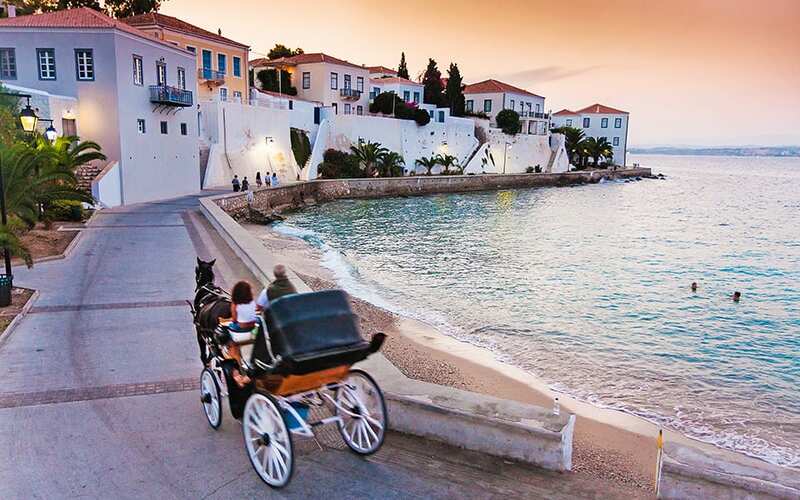 You can rent yourself a moped and make your way across the whole of Spetses in a couple of hours, however, which is well worth doing! 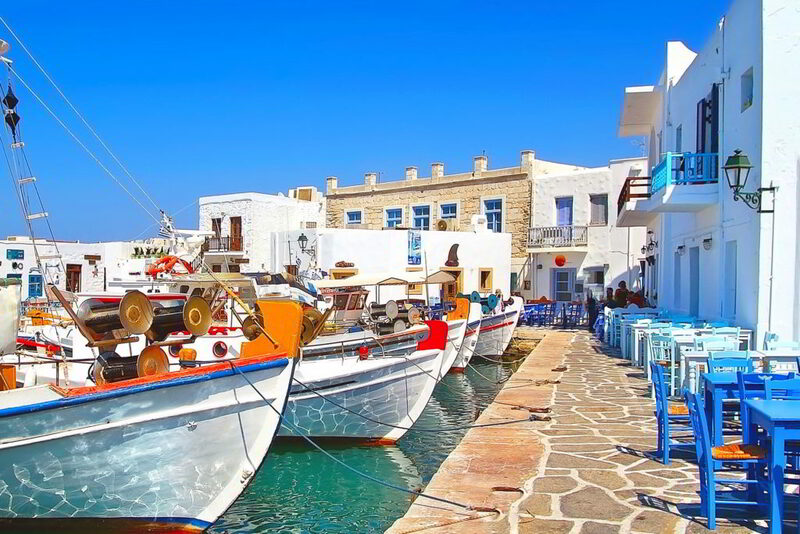 When you picture a Greek island, Paros is the kind of thing you imagine. White buildings, with splashes of blue in the doors and shutters, tiny churches bearing the Greek flag with pride, and a quaint harbor with little fishing boats vying for space. Paros is one of the most beautiful of all the Greek islands, that isn’t as spoiled by tourism as some of the other popular destinations. You’ll also find some truly sandy beaches here, which are ideal for catching a tan or enjoying some watersports. The next time you’re planning a trip to the Greek islands, add one of these to your list isn’t of the usual tourist hotspots!